Beginning in the next several days, one of the most delicate, sophisticated, and potentially catastrophic cleanup operations the world has ever seen is going to be performed at the Fukushima Daiichi Nuclear Reactor No. 4 since a tsunami took out the plant back in March of 2011. According to physicists and structural engineers– words can’t adequately describe just how disastrous it would be were a fuel rod in the containment unit to break in its removal. As Michio Kaku says, “It’s like a ticking time bomb.” The reason for this is because there’s at least a 70% chance that Japan will be hit by another earthquake of 7.0 or higher this year, and the chances of it getting hit in the next 3 years is a whopping 95%! However, just to put this danger into some kind of perspective, we know that there are some 1,535 fuel rods in the already damaged No. 4 pool that is the equivalent of about 37 million curies worth of radioactive particles and gas. Therefore, if this amount were to leak out, you’ll be looking at nuclear disaster that would be about 10 times more severe than Chernobyl. Tokyo’s population of 35 million people would have to be evacuated! Can anybody seriously imagine the logistics of doing that? And, the Northern Hemisphere would get hit with a massive stream of radioactive cesium-137, strontium-90, xenon, tritium, and krypton. 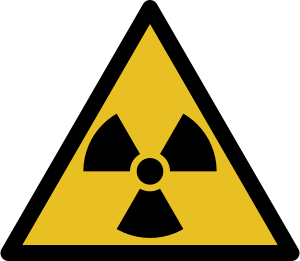 Pediatrician and nuclear expert Helen Caldicott, who lives in Boston, MA and has been on Coast to Coast AM recently, says that if TEPCO breaks a fuel rod or in any way screws up…she is moving to the Southern Hemisphere. If the radiation is that bad on the East coast, think of how much worse it’ll be on the West coast of the US? 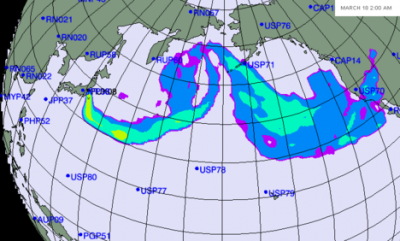 Already, there is 300-400 tons of radioactive water being leaked into the Pacific ocean every single day from Fukushima! The US Geological Survey (USGS) are reporting polar bears losing their fur, walruses with skin lesions, and dying seals but apparently can’t seem to figure out why they are seeing these anomalies. Take a wild guess. Right now, there’s a floating pile of waste in between Hawaii and California that was termed the “toxic monster”, which is as large as Texas! This toxic debris is expected to hit land by 2014, and much of the West coast could very well be forced to evacuate. Although much as the Japanese government is keeping their population in the dark so as not to cause panic, I would think that the bureaucrats and politicians in D.C. would do much the same here. Be that as it may, however, we will likely see a huge spike in the numbers of cancers and hypothyroidism from the Fukushima meltdowns no matter what happens with Reactor No. 4. In an article from Counter Punch, we learn how the CDC Morbidity numbers in the immediate aftermath of the Fukushima meltdowns saw a 35% spike in infant mortality for cities in the Pacific Northwest and California, and marine biologists are measuring unprecedented amounts of radioactive cesium and strontium in fish like the blue fin tuna that is a staple of Asian diets. In South Korea, some grocery chains are supplying Geiger Counters for their customers so that they can test the seafood for themselves. In the the US, however, the Obama Administration seems already to have taken the first steps in its own coverup by raising the amount of radiation considered safe in soil to 2,000 millirems. Given how corrupt the EPA is known to be, it’s not entirely surprising to me that this PGA report is becoming the environmental policy of the country. However, the timing makes is all the more obvious just how insanely corrupt our so-called regulators are. Corruption also runs rampant in Japan as well, and the Tokyo Electric Power Company (TEPCO) is perhaps the worst culprit of all followed close behind by the Japanese government in the past two years, since the earthquake and ensuing tsunami knocked out at least four of Fukushima’s reactors. Some whistle-blowers have come forward in attempting to get the real story out, but this is rare. One Japanese reporter has discovered how there is a very good likelihood of Reactor No. 4 containing “202 unspent fuel rods” that are even more radioactive than spent fuel rods by several orders of magnitude, and that according to a civil engineer…the foundation of the building is already split due not to the earthquake but (in all probability to some of these fuel rods having been dropped). TEPCO made all kinds of denials about the severity of the problem and leaks from the reactors, which created a false sense of complacency in the public that no doubt cost countless lives. Then, they refused outside help from scientists and engineers around the world, who offered to help. While some observers are likely to presume that this was to prevent any further confusion, it is TEPCO that was (and still is) confused as to how to mount a successful decommissioning of the Fukushima Daiichi reactors. We’ve also since learned through the great investigations of Global Research that many of the subcontractors working on the ground in Fukushima are connected with the Japanese Yakuza. This was, of course, aided and abetted by the Japanese government that has allowed the incompetent, corrupt, and wholly-deceitful TEPCO from having to bring in outside experts that could prevent further catastrophes from occurring. After all, normally the removal of fuel rods is done using very precise computers, but this has to be done by hand-operated cranes, as the rods aren’t all perfectly vertical. Plus, there is debris in the containment pools from the damaged roof from a previous explosion. So, regardless of your religious or spiritual convictions, let’s all pray that the Japanese are successful in their cleanup and containment of the highly volatile fuel rods in Reactor No. 4 and elsewhere. After all, for this not to become an even worse disaster than it already is for both human and marine life, we’re definitely going to need a miracle! Either way, I’m swearing off seafood.